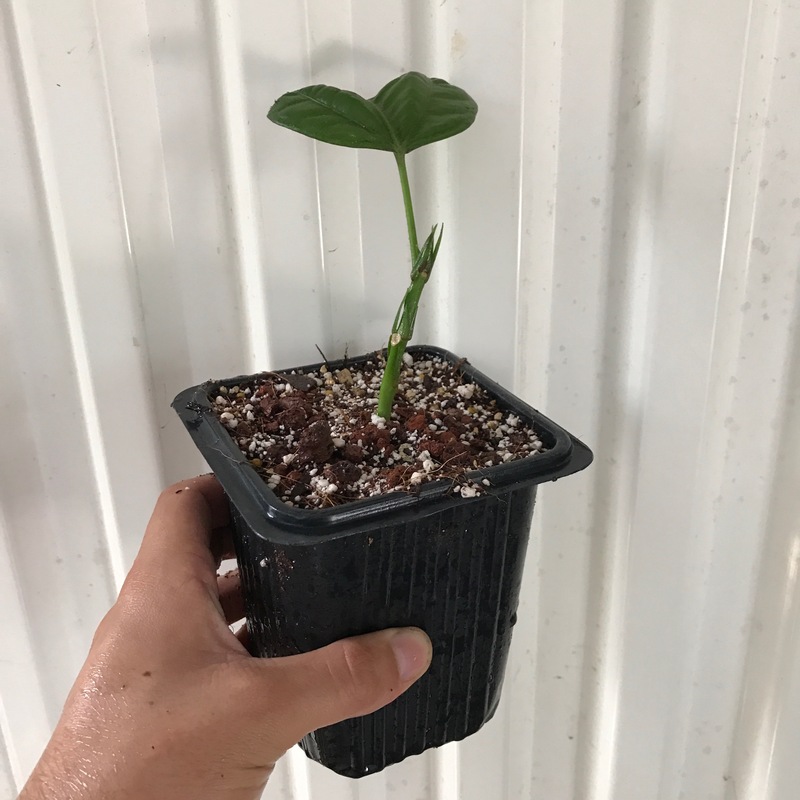 Today I repotted some cuttings from Pavonia cauliflora. The name of this species is disputed. The JBG has it labelled as Gothea cauliflora, whilst plantlist shows this name as unresolved. The accepted name on plantlist is Pavonia cauliflora, so that is what I will use. P. cauliflora is pretty rare, it’s range covers only a small part of Brazil. It’s a good shrub too. This species has large evergreen leaves and cup shaped red flowers which emerge from the stems. It grows happily in heavy shade, I’ve now moved it into 3/4 day sun and it’s still thriving. A very versatile plant. Obviously being so useful P. cauliflora had to be propagated. Our plant is very small and only had a few stems. I managed to take four cuttings a month ago. I potted three of them on today into 11cm pots, one failed to root. The root systems aren’t hugely developed but I want the plants growing with nutrients as soon a possible. Shown below. 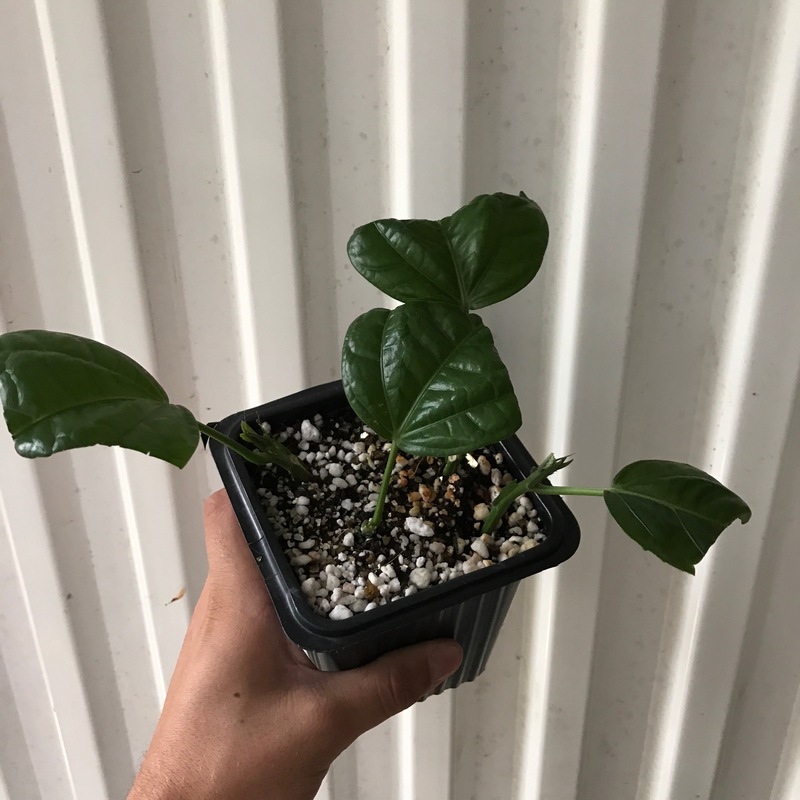 The cuttings I took are described as “basal cuttings”. 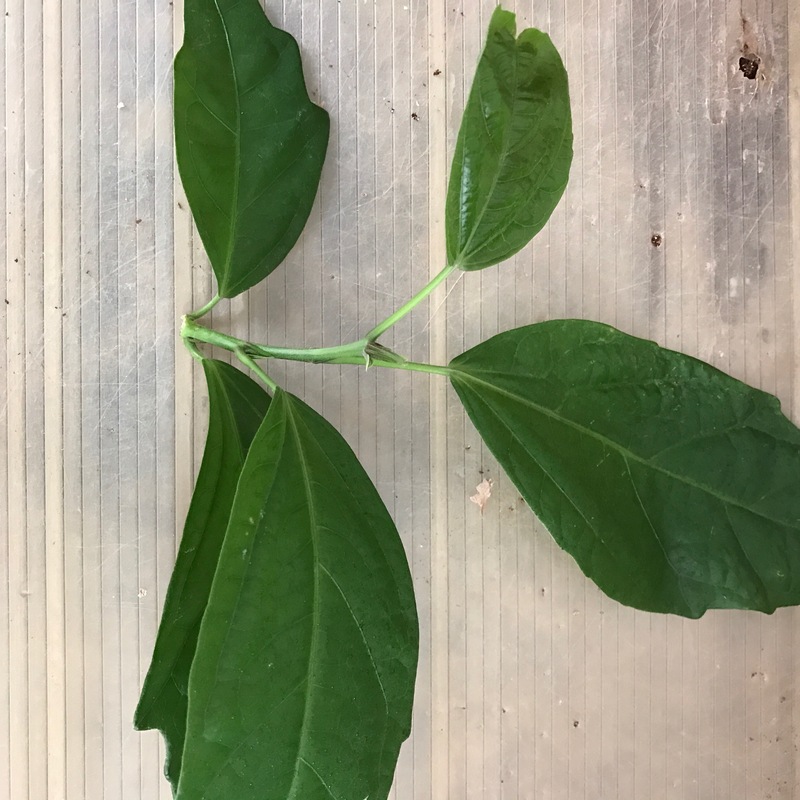 The cuttings are taken in much the same way as a regular semi-ripe cutting. 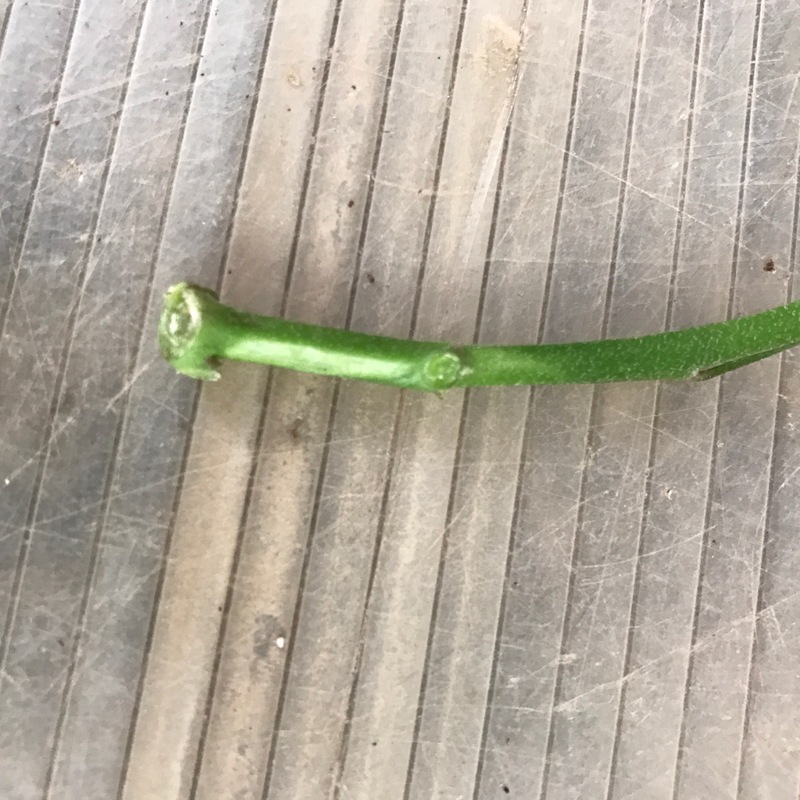 The key difference is only nodes adjoining stems and shoots are severed. At this point the shoot should have a collar like bulge. Instead of cutting above as you would when pruning, the cut is made lower than the collar. 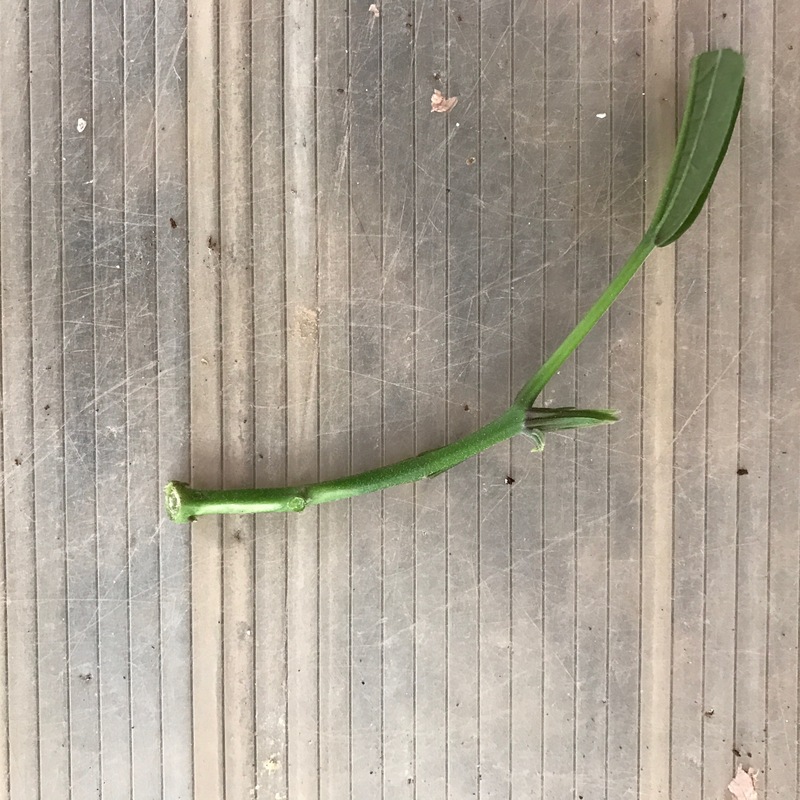 This severs the lower node and provides a large surface area for rooting. 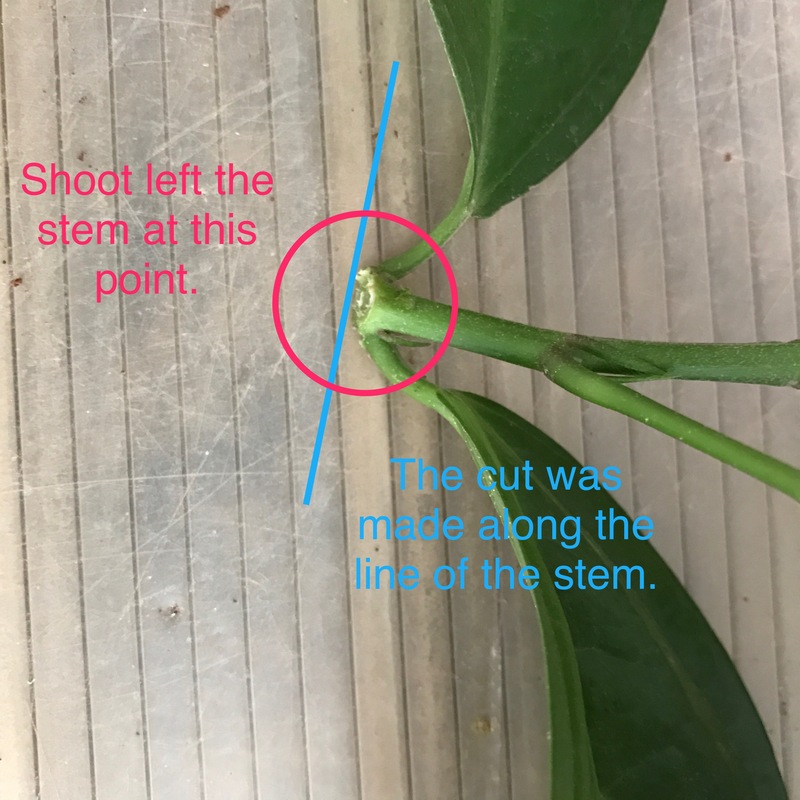 To further increase rooting area I wounded the stems, though looking at the point of root formation it seemed to make no difference. 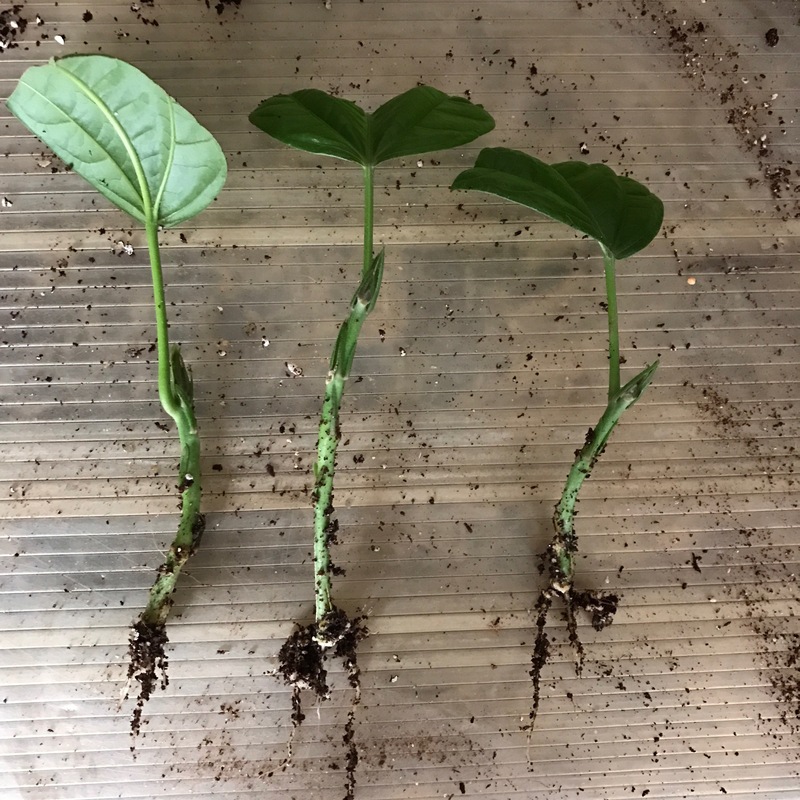 Cuttings shown below. 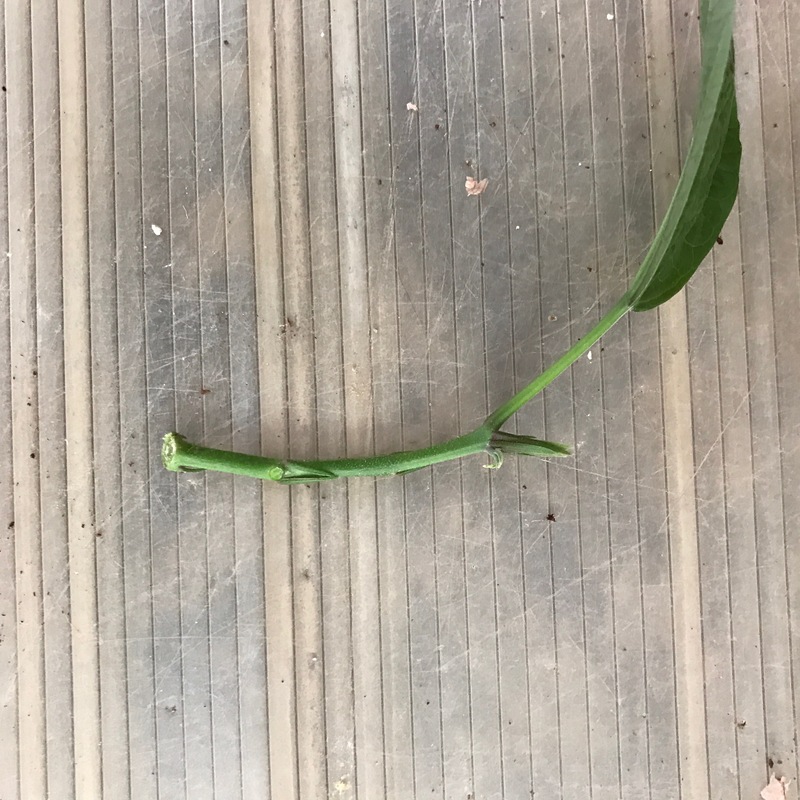 The mother plant has produced fresh growth so more cuttings can be taken soon. The cuttings transplanted today should have filled the 11cm pots in four weeks. Hopefully they will be just about filling up 3L pots, come planting time.